The story of this congregation begins in the fall of 1968. Malcolm Barlow and Al Harris had been talking with the Rev. Nat Lauriat of the Unitarian Society of Hartford, who encouraged them to start a Unitarian Universalist congregation east of the Connecticut River. They ran ads in the Silk Town Flier, a newsletter Malcolm and Susan Barlow owned at the time and distributed door-to-door. They ran ads in the Manchester Evening Herald where Malcolm worked. They rented a hall at the Buckley School. 78 people came to the first organizational meeting on September 25th, 1968. They were seeking spiritual community, reason in religion, freedom of conscience, and liberal religious education for their children. They were people who wanted to make the world a better place. That night we agreed to form the Unitarian Universalist Society of Manchester. On October 8th they gathered again to establish their first committees. Yes: Before there was an official church, there were committees! From a newspaper article at the time, I notice Dave Sherman was appointed as chair of the program committee. An attorney named John Fitzgerald was their moderator. 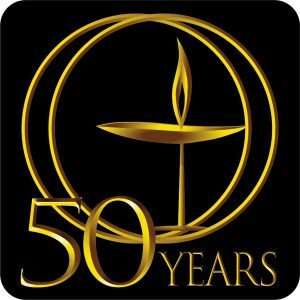 49 people signed the incorporation papers on January 16, 1969 and officially became the Unitarian Universalist Society of Manchester—that’s fifty years ago this Wednesday! Of the 49 people who signed the original charter, five are still active members of the church today: Malcolm and Susan Barlow, Naomi Zima, Roland Chirico and Mary Ann Handley. Thanks for your vision. Thanks for the sacrifices you’ve made and the love you’ve given. During that first decade the congregation rented space in various locations around Manchester—the Buckley School, a Main St. karate studio, the Singer Learning Center, and the YWCA. Sometimes we say we were wandering in the wilderness, but that’s not entirely accurate. We were wandering around downtown Manchester, and eventually landed in the wilderness out here on West Vernon St.
That first decade was a time for the new congregation to fashion its identity as a beloved, liberal religious community. Their first minister was the Rev. Arnold Westwood. He eventually split his time between our congregation and the UU congregation in Amherst, MA. Having a part-time minister meant that the lay-people had to share many of the leadership responsibilities, including Sunday morning worship. That was the beginning of our UUS:E tradition of shared ministry. Arnold taught us how to be a church. We loved him for this. He organized many activities: multigenerational snow Sundays, Blueberry Saturdays, and friendship retreats which created deep bonds and strengthened our sense of community. If you joined UUS:E during that first decade, thank you for your vision. Thanks for shared ministry. Thanks for wandering. Thanks for learning how to be a church and for passing your wisdom on to us. Thanks for the sacrifices you’ve made and the love you’ve given. Having our own building provided us with opportunities we had never imagined. With strong lay leadership we established new programs for adults, built an affiliation with the UU Women’s Federation, created support groups and discussion forums, and built a thriving youth program. Bob Richardson, then our volunteer music director, led choirs for special occasions and helped us stage very entertaining summer musicals: ‘A Funny Thing Happened on the Way to the Forum,” “South Pacific,” “Carousel,” “Music Man,” “Fiddler on the Roof,” and “Carnival.” The production of those musicals, along with fundraiser dances, district retreats and soup socials helped maintain and strengthen our sense of community. During this decade we established the Memorial Garden, held the first Affirmation class, launched the Social Responsibility Committee. Members participated in programs at UU summer camps such as Rowe, Ferry Beach and Star Island. We also hired a part-time Director of Religious Education, Vicki Merriam, who held that role for over 30 years. Rev. Arnold’s retirement in 1984 produced a lot of anxiety. It was our first ministerial transition. We called the Rev. Diana Heath as our new minister in 1985. Rev. Heath’s ministry was rocky. Ultimately she was not the right match for our model of ministry and she resigned in 1988. Even with the difficulties surrounding Rev. Heath’s ministry, the congregation was growing. The building was still new, but we were already talking about expanding it. Despite ministerial challenges, we conducted a capital campaign and expanded the original building and parking lot. And in October, 1989 we installed the Rev. Connie Sternberg as our third settled minister. If you joined UUS:E during that second decade, thanks for your vision. Thanks for choosing UUS:E. Thanks for sticking with us through times of transition and growth. Thanks for continuing our tradition of shared ministry. Thanks for the sacrifices you’ve made and the love you’ve given. With a newly called minister, the congregation more clearly defined and deepened its understanding and practice of shared ministry. We expanded our programming and community outreach ministries. With some controversy we moved to two Sunday morning services in 1996. We added Bob and Marilyn Richardson to our staff sharing the role of Music Director. We added a full-time office administrator and a Sunday morning sexton. We made improvements to the Memorial Garden. We established a sibling-church relationship with Shiloh Baptist in Hartford. We supported the Samaritan Shelter and Covenant to Care. The congregation continued to grow, especially the children’s religious education program. And of course, we created more committees, adding the Personnel, Denominational Affairs and Pastoral Friends committees. One of our most significant decisions was to become a UUA Welcoming Congregation, making a commitment to welcoming and empowering gay, lesbian, bisexual and transgender people. If you joined UUS:E during that third decade, thanks for your vision. Thanks for choosing UUS:E. Thanks for sticking with us through times of transition and growth. Thanks for continuing our tradition of shared ministry. Thanks for being a Welcoming Congregation! Thanks for the sacrifices you’ve made and the love you’ve given. As our fourth decade commenced we began teaching the Our Whole Lives human sexuality curriculum. Our community outreach included tutoring in Hartford through the STARS program, as well as at the Washington school in Manchester. In 2000 we hired Annie Gentile as our full-time office administrator. Today she is our longest-serving staff member. Rev. Connie retired in 2001. After a two year interim ministry, we called Rev. Josh Pawelek to be our fourth settled minister in March of 2003. One of the most enduring legacies of the early years of our fourth decade was the work of our Sustainable Living Committee. They helped us “green” our sanctuary and we received the UUA’s Green Sanctuary designation. During the early years of Josh’s ministry, the Journey Toward Wholeness Antiracism Task Force worked with Rev. Jeanne Lloyd, the other Hartford-area UU congregations, and Bethel African Methodist Episcopal Church in Bloomfield to launch CUREJ: Congregations United for Racial Equity and Justice. CUREJ eventually played a key role in passing Connecticut’s 2009 Environmental Justice law. At the same time, nearly fifty congregations launched the Greater Hartford Interfaith Coalition for Equity and Justice (ICEJ). UUS:E was a charter member, and our members played central roles in the leadership of ICEJ until it closed its doors in 2012. At the same time, UUS:E members and friends proudly participated in the fight for marriage equality in Connecticut—which became law through a state supreme court decision in 2008. We hired Jane Osborn as our full-time sexton; and when Bob Richardson retired, we hired Pawel Jura as our new music director. Space was once again becoming an issue. After conducting a thorough assessment, the Growth Options Management Team recommended that we expand the building and parking lot once again. After a very successful Capital Campaign (chaired by Nancy Madar), we broke ground in the spring of 2009, just as we were entering our 5th decade. If you joined UUS:E between 1999 and 2009, thanks for your vision. Thanks for choosing UUS:E. Thanks for sticking with us through times of transition and growth. Thanks for continuing our tradition of shared ministry. Thanks for being a Green Sanctuary. Thanks for anti-racism work. Thanks for marriage equality work. Thanks for the sacrifices you’ve made and the love you’ve given. During construction, we met for services on Sunday afternoons at Center Congregational Church in Manchester. After expanding the building and parking lot, adding an elevator, adding accessibility features, and installing geo-thermal heating and cooling, we moved back to 153 West Vernon St. in April of 2010. We dedicated the new building that fall, with a keynote sermon by Gini Courter, who was then Moderator of the UUA. We take great pride in the fact that our building is a green building. It has an Energy Star rating from the federal government; and we won the Green House of Worship Award from the Interreligious Eco-Justice Network. After moving back we created new covenant, mission and vision statements. We launched a new website. We began strategic planning. We continued with a variety of social justice and sustainable living initiatives. Vicki Merriam retired in 2014. After a period of program evaluation and making a commitment to building multigenerational community—more multigenerational worship, more multigenerational activities, more ways of including children in adult activities and adults in children’s activities–we hired Gina Campellone as our new Director of Religious Education. The RE program has thrived under Gina’s leadership and our commitment to building multigenerational community remains strong. Pawel Jura left our staff for a new job soon after Vicki’s retirement. After a brief interim, we hired Mary Bopp as our third music director in early 2015. The congregation gave Mary a warm welcome, however we were greatly saddened to learn of Pawel’s death shortly thereafter. 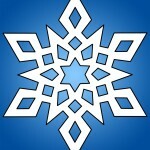 Today there are many opportunities for spiritual growth and exploration: Small Group Ministries, the Buddhist Group, Women’s Sacred Singing Circle, Book Club, Dialogue From Your Home, Politics and Public Affairs, God Talk, the Humanist and Pagan study groups, Mental Health Ministry, Peas and Love Community Garden, Vegan potlucks. There are many adult religious education offerings, and a thriving religious education program for children. In recent years we have agreed as a congregation to support the Black Lives Matter movement. And we have agreed to become a sanctuary congregation to help support people trying to avoid deportation or seeking asylum. Now there’s even an effort to launch a new interfaith coalition in greater Hartford. The possibilities for engagement seem endless. If you joined UUS:E during the last decade, thanks for your vision. Thanks for choosing UUS:E. Thanks for bringing your new ideas, your conscience, your spiritual explorations and your passion. Thanks for continuing our tradition of shared ministry. Thanks for the sacrifices you’ve made and the love you’ve given. In the fall of 1968 our founders began gathering and organizing and leading. Fifty years ago this week UUS:E officially began when 49 people signed the incorporation papers. As we enter this year of celebration, let us remember it’s not really about the signing. –a spiritual community that cares about this life, and this world, here and now, and seeks to bring more justice, peace and love into this life and this world, here and now. We here today inherit that vision. May we be good stewards of that vision as we make it real in our time. May we pass it on in tact to those generations coming after us. For all the days to come.